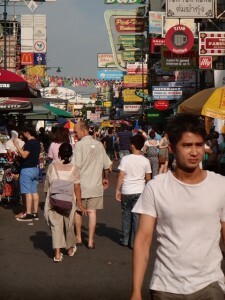 More than 7 years ago in January 2006, my first attempt to travel around the world really started in Thailand and Bangkok. It seemed nice to end my second attempt in the same city. 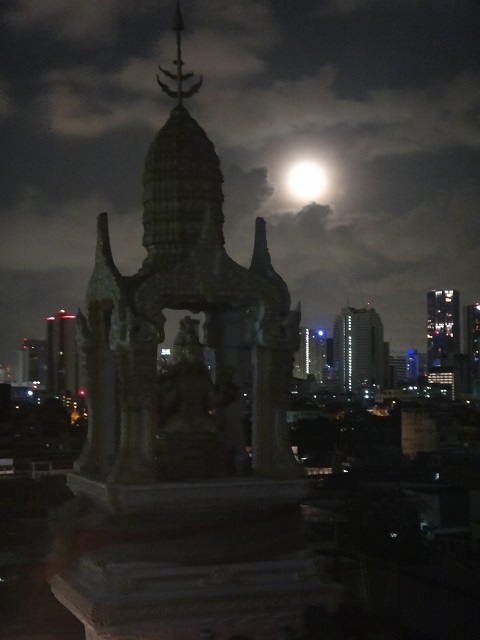 Come ‘full circle and all that…but also returning to my favourite Asian city. 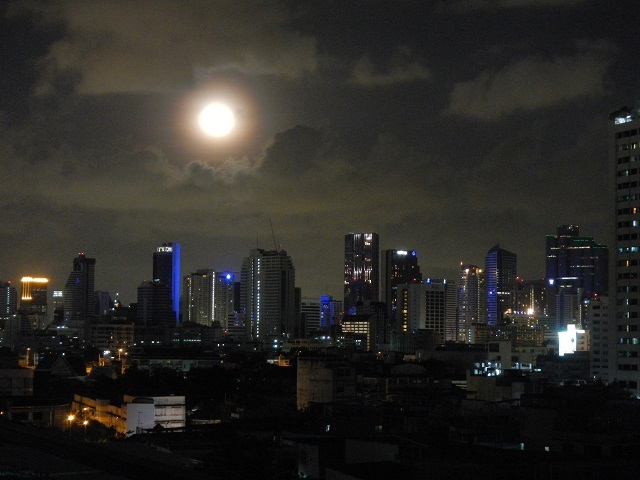 I remember back then arriving in Bangkok was a bit like landing on the moon. The humidity, the heat, the noise, the traffic it was all so overwhelming. It was the absolute peak season in Thailand and I was searching for a place to stay for ages. I eventually ended up in some ‘dive’ (crap hotel) surrounded by the biggest ‘white trash’ tourists one can imagine. 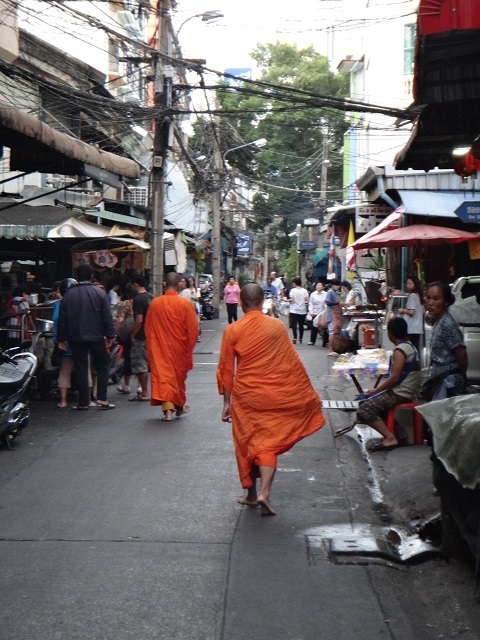 Despite all that, I immediately fell in love with the super friendly and welcoming Thai people. During the next 4-5 months travelling in South East Asia (SEA), Bangkok (BKK) was often the hub to get from one place to the other (to and from Burma, to Laos, from Cambodia, to the islands of the south) and it became my ‘home away from home’. It was the place to recharge the batteries, get some of the world’s best food from simple food stalls on the street, and stock up on travel supplies. When I got off the plane this time, I immediately felt at home again, even though I now arrived at a different airport. An airport which does not have a golf course between the landing strips like good old Don Muang used to have (still one of the most bizarre things I have seen while travelling). This time I decided not to stay at the travellers headquarters of Khao San Road. I got a tip about a nice hotel (River View Guest house) away from all the madness and tourists but with gorgeous river views from the rooftop restaurant. 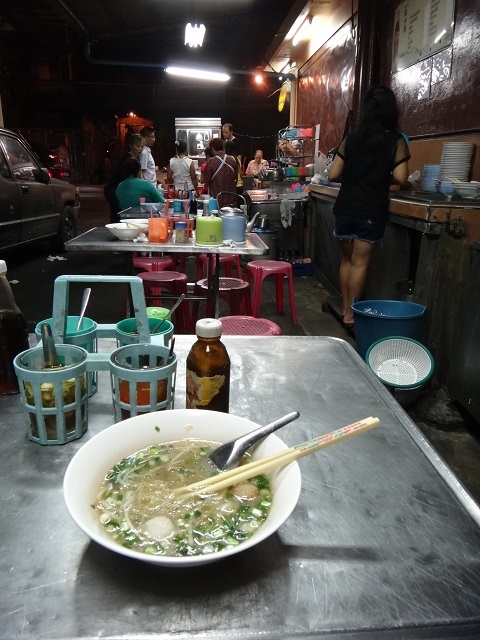 I absolutely loved this place away from it all in the middle of typical Thai neighbourhood. Which brings me to the interesting topic of Thailand and mass tourism. I get really annoyed when I hear people telling that you shouldn’t go to Thailand because “it is too touristy” and that “it was nice 20 years ago but now everything is ruined”. Often these ‘traveller snobs’ as I call them have done a tour of SEA (similar to the one I did) and rave about Laos and Cambodia but dismiss Thailand as too touristy. Bangkok tourist center at Kao San Road. Spot the differences! When I ask them what they have seen in Thailand, I always get more or less the same answer: BKK (Khao San Rd. 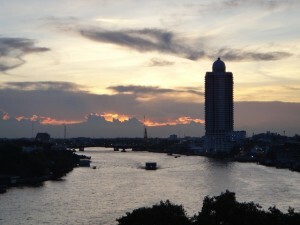 ), Chiang Mai, Koh Tao, Koh Panghan and Phuket or Koh Pipi. There really is nothing wrong with going to these places. They are all cool and gorgeous places. But if you go to these places in the December to February period, when the whole of (Northern) Europe descends on the country, you’re rather likely to run into a couple of other travellers. If you only go where all the tourists go, right when all the tourist go there, you’re bound to find Thailand ‘too touristy’. But even in that period and in those places you can find a place a bit away from the tourists or do some slightly different activities. I will never forget the cycling trip I did in Sukhothai during which I got ‘high jacked’ from my bicycle by some older Thai ladies that didn’t want to let me go on before I had eaten the delicious ice cream they put in my hands…and no way that they would allow me to pay them back for it! Yes there are a lot of tourists in this country and some places are really ‘touristy’ (as in they don’t really look like a Thai village or city but more like Salou or Lloret De Mar or whatever) but there is a reason why there are so many tourists. Thailand is an absolutely gorgeous country with awesome people. Take some time to get to know them and try to get ‘off the beaten track’ from time to time and you will be rewarded big time. On my first day in town I had planned to do some ‘cultural visits’ to some temples I had not seen yet. However that morning while I sat down at some street stall for breakfast the zipper of the only shorts just burst. There is something about my pants on this trip. This was the 4th pair of pants/shorts that I had to throw away. As I didn’t have any other shorts and there was no way that in this heat I would walk around all day in long trekking pants. I had to adjust my priorities and I went to the insane and infamous MBK shopping mall to look for some new shorts and hours later I ended up with a lot more stuff than I had planned to buy but with a lot less money spent than I had budgeted. You have to love these kind of shopping sprees! I would be browsing markets a couple of more times the next days. After 8 months most of my clothes and ‘travel accessories’ have become rather worn out (understatement!) 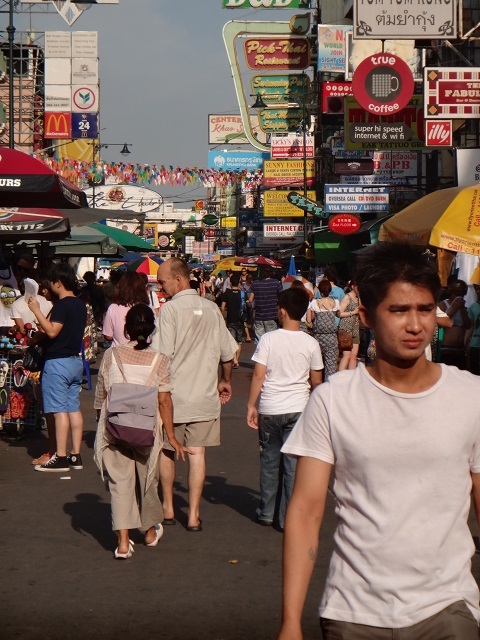 and were in desperate need of replacement and what better place to do so than in ‘bargain Bangkok’. 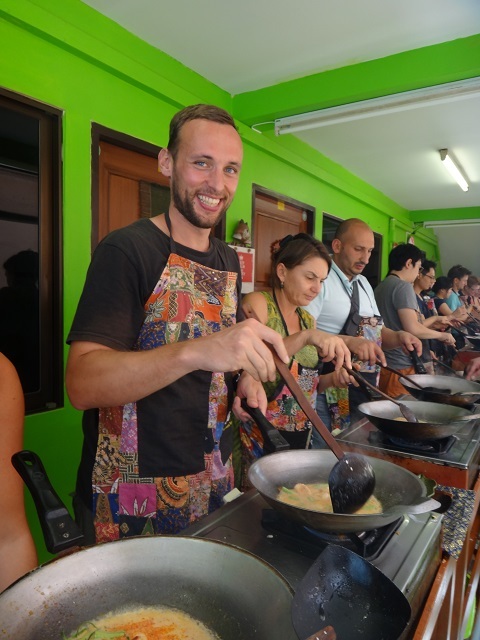 In between the shopping sprees and the constant search for tasty Thai food, I did manage to do two more ‘culturally relevant’ activities: a visit to the ancient city of Ayutthaya and a Thai cooking course. 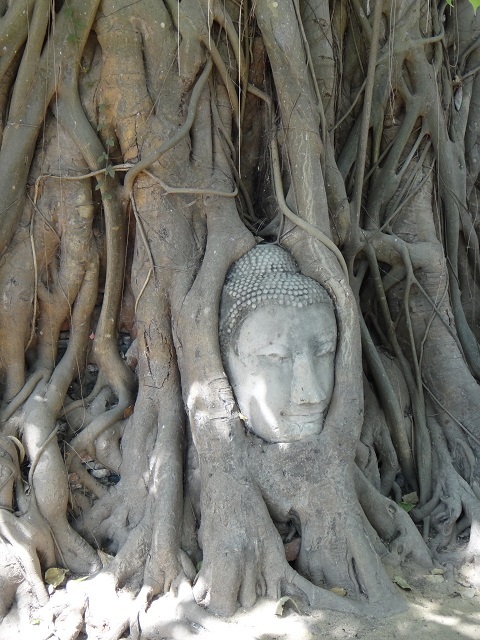 Last time I was in Thailand, I completely skipped Ayutthaya due to an acute ‘temple overdose’. There are only so many temples one can see on one trip. 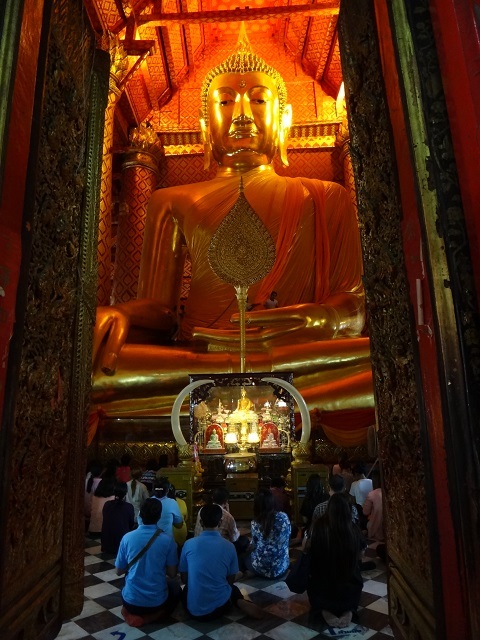 When you see the first ones you are blown away by all the gold and glitter and the giant Buddha’s. But after travelling in SEA for a couple of months and seeing the world’s most amazing temples at Angkor Watt and Bagan, I could not be moved anymore to get out on a train to see more temples and stupas. The city of Ayutthaya was the capital of the Thai empire for more than 400 years until the 18th century when it was sacked and looted by the Burmese arch enemy. These days only partly restored ruins are left in between the modern city. I personally liked Sukhothai (a simlar ancient city further north) better but it was definitely a great city escape. To get out there I took a ‘commuter train’. The train ride was supposed take about 1.5 hrs but that turned out to be closer to 2.5 hours. The reason: rush hour. At home at a Railway crossing it is logic that the cars stop to let the train pass. 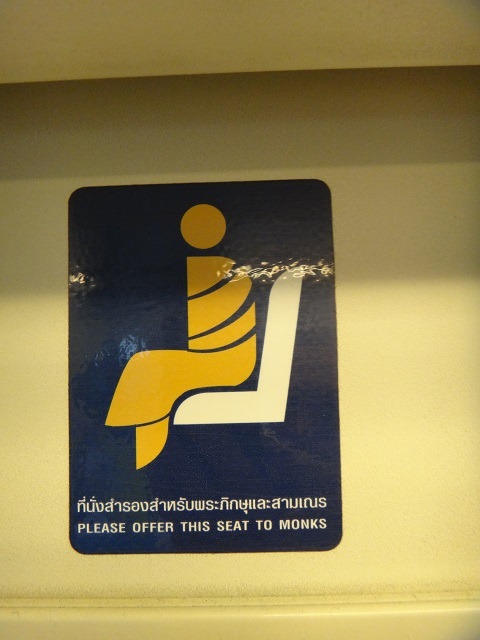 I found out that in Thailand it’s exactly the other way around. At each railway crossing the train had to stop and give priority to the cars that were stuck in a huge traffic jam until the ‘traffic officer’ allowed the train to pass. To get around between the different temples in Ayuthaya I rented a bicycle. Even though it was incredibly hot, I think that is a great way to travel around a lot of sites in Thailand. One my personal favourite temples contained a huge 19m Buddha statue set in a worship hall. 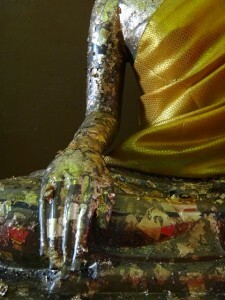 I’m always amazed how Buddhist people in SEA are worshipping or praying to these Buddha statues. From what I have understood about Buddhism this seems to be something that Buddha himself would never want people to do. I don’t think he ever wanted to have this kind of ‘fan club’. But if it makes the people happy why not. 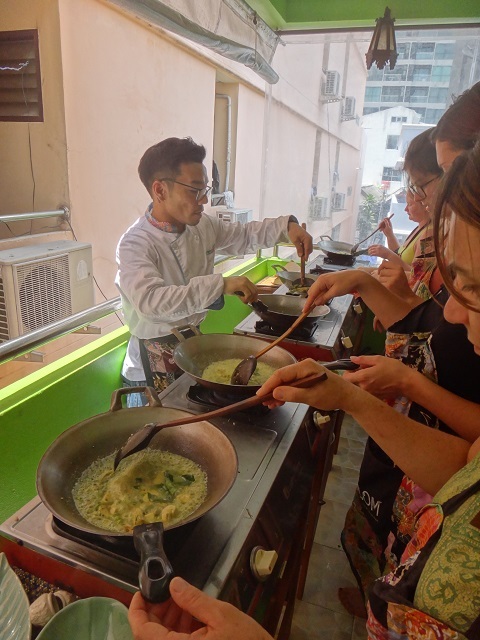 My second ‘cultural activity’ was a ‘Thai cooking course’. As you probably understood by now, Thai food wins hands down the prize of my favourite food in the world. And I wanted to give the cooking a go myself. In 2006 I had also planned to do a couple of days of cooking classes in Chiang Mai where I had a week to check it out. However I ended up spending all my time in the local Muay Thai gym to train ‘Thai boxing’. This time there were no excuses… Ofcourse you can’t learn how to cook in 4 hours and it really was a course ‘for dummies’ but it turned out to be a very interesting experience. 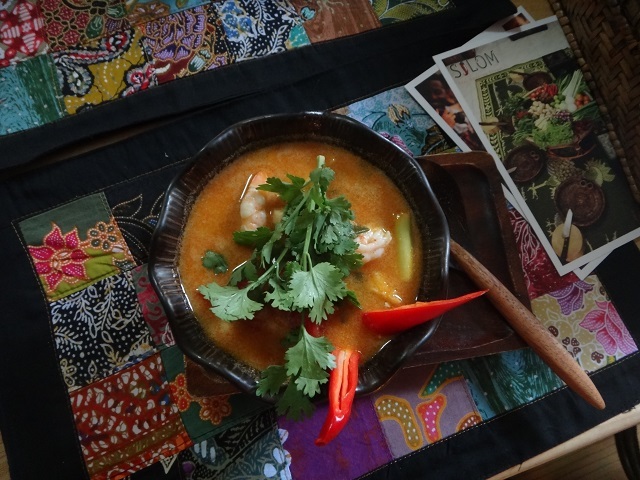 The visit to the market to discover the basic ingredients revealed a treasure of information on vegetables and spices used in Thai cooking. And what’s more we got to eat all 5 courses that we prepared. 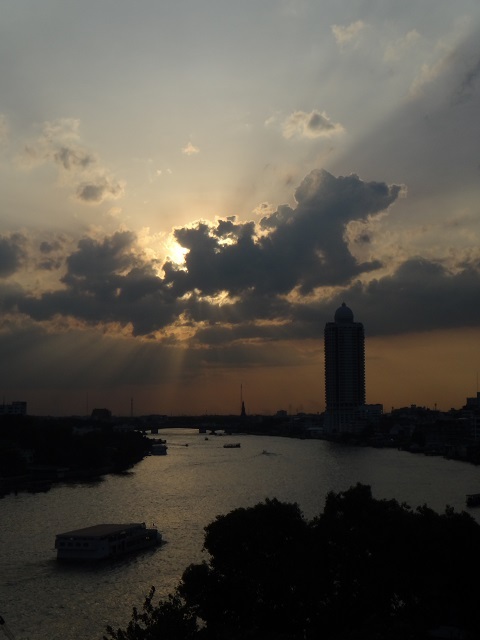 This entry was posted in Asia, Thailand by Jan De Roeck. Bookmark the permalink. Ik heb met veel genot al je verhalen gelezen. Helaas komt aan elke reis een einde. Het lijkt alweer zolang geleden dat ik je heb ontmoet in Zambia. Hoop hier in de toekomst nog vele verhalen te lezen en dat je ‘blog masterplan’ gaat werken! Ik vertel in ieder geval iedereen die een reis plant dat ze maar even inspiratie op moeten doen op je blog!